1. Place kale leaves into the food processor, add sea salt, walnut and olive oil, mix on high speed. Transfer mixture in a bowl. 2. Peel and cut avocado into small pieces, place into the blender, add 1 lime juice and a pinch of salt. Mix until completely smooth. Transfer mixture onto the kale pesto sauce. 3. Spread sesame, walnut pieces and mulberries over to sauce. 4. Bring to boil fusilli for 7-8 minutes until al dente. Strain and set aside. 5. 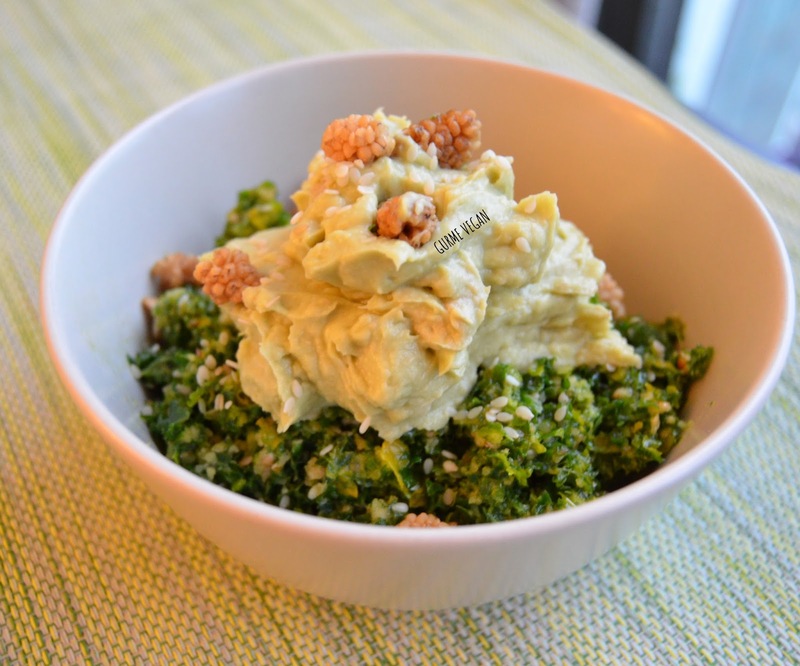 In a large pan, add kale avocado pesto sauce and 4 tbsp warm water. Cook on medium heat until get creamy consistency. 6. Then add fusilli into the pan, toss well. 7. 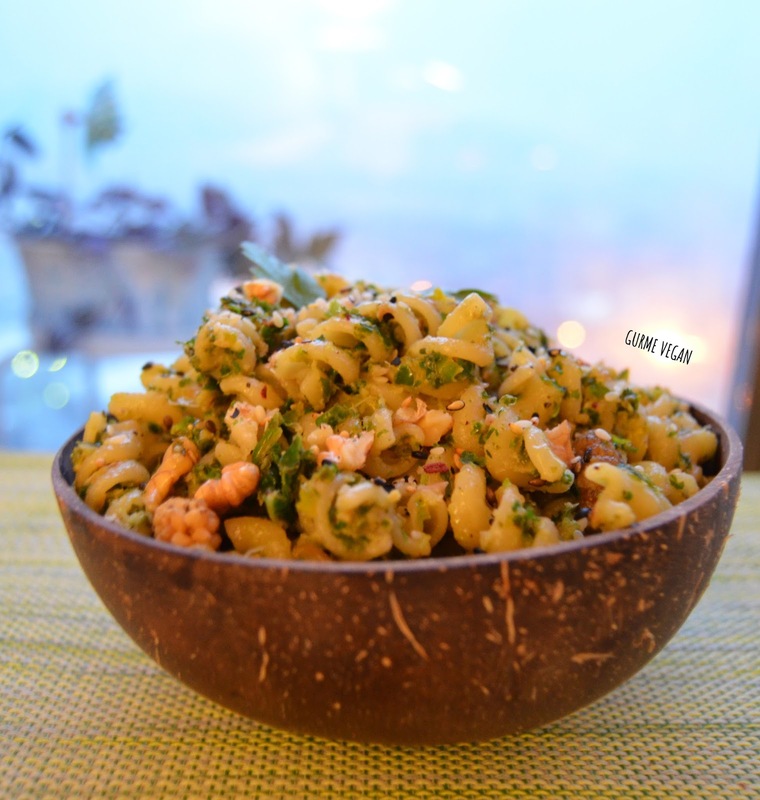 Place fusilli in a bowl, spread sesame seeds if desired and top with parsley leaves.